Crude 74 imp, Sensex ,Shanghai ( China ) and Dow at one glance ! Although crude is not an instrument i trade but have been consistently posting major technical turn points ever since 147 crude. Crude after correcting from 147 to 33 is back on the recovery path as with all other instruments over the world. 38% retracement comes to 76-77 levels whereas 50% comes to 90. So any moves from here would capped at 90 ideally. yet again crude after a consolidation is poised in a crucial stage. Like all other equities and instruments a possible inverted head and shoulders is possible.Also a trendline breakout if stays above 74. Possible targets could be 79/84 in short term if such a move does take place. Though similar charts recently have shown false moves so a possibility to 76.5-79 does become more probable then full tgts of 90. Economies or rather Indices around the world have come to a fibonacci retracement which i would consider as an indication of how they have been impacted by the recession. Technical Analysis gives a clear picture in such a simpler manner !!! All the indices in this geography have been able to retrace only 38% of the fall from 2007 end-2008 start to mid 2009. What is peculiar is all of them have faced resistance around this 38% level and saw a small/large correction from such levels. Dow , Ftse , Dax , Shanghai, Cac etc all pulled back from these levels. Posted chart for Dow. All the indices in this geography have faced resistance around the 50 or 61.8% retracement level and in cases after a pullback crossed the same. Hong Kong , Nikkei , Russia could only come up to 50% retracement whereas Brazil , India, Korea, Singapore have retraced 61% of the entire fall. Many of them saw a pullback from the retracement levels or are facing resistance in that zone. What needs to be seen is whether we see a global sideways for coming months or another upmove which creates a divergent move for a good correction. Things would be clear if the indices break short term support lines or cross recent highs. So time to have a good watch technically !! Every channel is buzz with the China bubble or the China correction. If we see Shanghai comp the index was the first to bottom out in October and did not see a major correction in March like rest of the world. Also ever since March the upmove has been in a clear uptrend with not much of a corrective dip and straightway to 38% . Such a quick move warrants a sharp correction and thats what we are seeing now with the index dropping 20% in quick time. On the short term the current correction is coming close to the 38% retracement level zone of 2740-2790 as well as the short term support line. So ideally we could see a sharp bounce also in the index in near term. As u see resistance seen at 38% retracement. But it did get a nice dip of 10% from peaks in July though which could not go below 8k. Its difficult to say whether the index can go to the 50% level of 10300 odd but yes that is the most optimistic cap on any upmove in US. Supports for the short term are placed at 9030 and 8700. The 61.8% level of 16k zone was almost achieved and the index did lose almost 8 % from that level and is finding some support around the 14700 mark which is the short term trendline. HEre in I end the post on GLOBAL TECHNICAL ANALYSIS with crude ..... Do have a clear read and pass it around !!! So everyone knows that technicals is not jargon but simple practical analysis. IFCI looks set for a strong move if stays above 54 . Chart posted before. Client reco at 49. Take Solution looks good for short term speculators with a stop of 37. Omnitech , Helios Matheson could catch up on the small cap IT re-rating. Cairn could be a speculative bet with crude move. 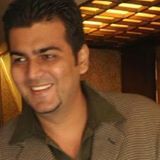 CHECK www.analyseindia.com for our exclusive services.